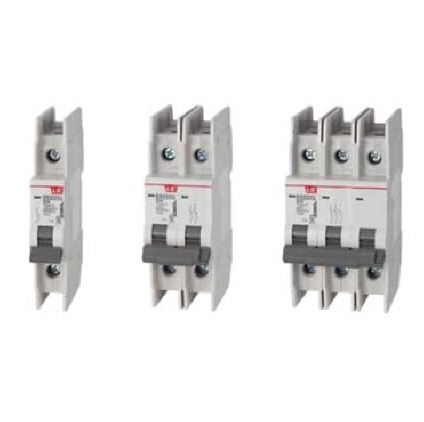 LSIS has a very cost competitive offering of UL rated miniature circuit breakers. The Alpha2 is a controller designed to address simple control applications at the lower end of the industrial and commercial control markets. With simple analog processing integrated, a straightforward programming style and a built-in display, the Alpha2 is a highly affordable control solution. All-in-one CPU, power supply, display and I/O. Expansion options include expansion boards for communication, high-speed counting or extra I/O. Graphical “function block” style programming with drag and drop icons creates an intuitive environment for the user. The programming software also includes a simulation mode to allow off-line program testing without any hardware connected. The Alpha family has a calendar and clock with automatic summer and winter time switching. 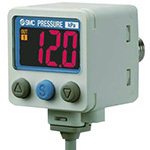 Pressure Switch ISE40A series is a high precision digital switch, providing improved functions, performance and variations over the previous ISE40 series. Abnormal values can be seen at a glance on the 2-color display. The settings of the master pressure switch can be copied to up to 10 slave pressure switches, reducing the setting work, and preventing mistakes in setting. Other features include: simple 3-step setting, analog output, wide variety of piping variations, and a power-saving function for MPa-kPa. 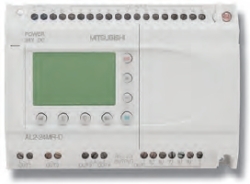 The ISE40A is also CE, UL/CSA and RoHS compliant.